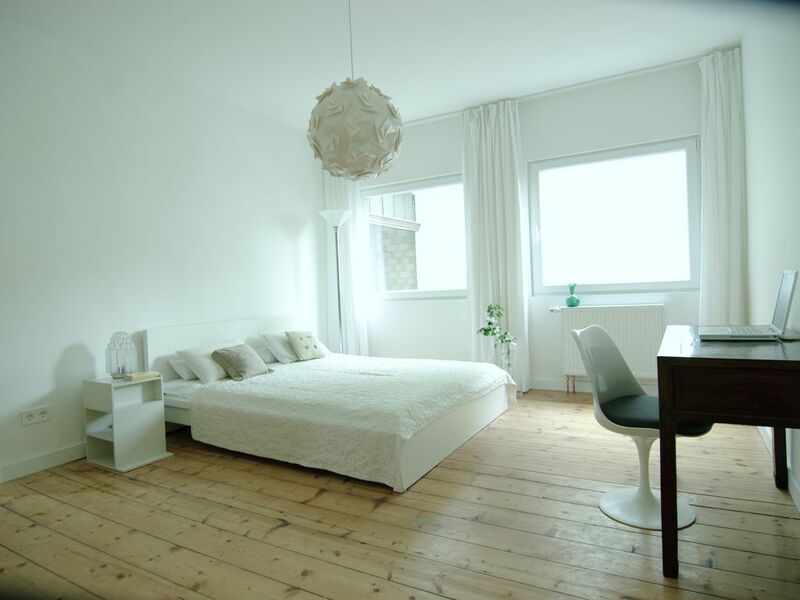 2 room flat (old building) in the middle of trendy district Sternschanze / St. Pauli, still quiet to the courtyard. Well maintained. WASHING PACKAGE 25 Euro not included. On foot you can easily reach the harbor, Elbe, fish market, fair, Reeperbahn, univiertel, musicals. Hafencity, Elbphilharmonie, Rathaus, Alster can be reached quickly by bus or train in 10 minutes. Nearest S-Bahn: Sternschanze. Nearest bus stop 3 minutes away - without changing directly to the city hall and main train station. In the neighborhood there are nice cafes for breakfast, small shops for shopping and trendy restaurants for going out. On foot, Saturday is the big flea market in Karoviertel. Car parking is currently still free in the street. Covered, attached space for bicycles and prams. WASHING PACK NOT included. Bed / Kisenbezüge, fitted sheets and towels can be brought by yourself or there for 20 Euro / 1 person or 25 Euro / 2 persons. Es hat uns sehr gefallen, alles war gut und angenehm eingerichtet, so dass wir uns sehr wohl gefühlt haben. Die Wohnung hat einen sinnvollen Zuschnitt, die Lage im ruhigen Innenhof in solch spannender Umgebung ist praktisch, entspannt und perfekt angebunden an die Stadt - da braucht man kein Auto und hat seine Ruhe. Auch Küche und Bad hat alle Bedürfnisse erfüllt, wir haben nix vermisst. Wir planen eine Wiederholung unseres Wochenendauslfugs nach HH und werden gerne wieder in diese schöne Location zurückkommen.